For ten years, the Marvel Cinematic Universe built up the threat of the Infinity Gauntlet, and with the events of Avengers: Infinity War, we saw just how powerful it can be. With the six Infinity Stones united into one omnipotent force, it allows its wielder to control space, time, reality, the mind, the soul, and gives them unfathomable power — which, in that movie, is used to instantly kill half of the sentient life in the universe. By the end of the film, the Gauntlet is burnt out from channeling those all-powerful forces, and it's still in the possession of the villainous Thanos. Thanks to its sequel's trailer, though, we know that the Gauntlet is going to be making a return when the MCU returns for Avengers: Endgame. The only question is just what's going to happen with it. Will Thanos retain it, or will one of the heroes of the MCU manage to take the Infinity Gauntlet and use its incredible power for themselves? Anything's possible in a world of superheroes, but we've got some ideas about how it could go down. Here are the reasons why these superheroes might wear the Infinity Gauntlet in Endgame! If there's one character that you actually want to see controlling the Infinity Stones and the omnipotent power that goes along with them, it's Steve Rogers, the guy who always does the right thing, no matter what. If he got his hands (or at least, his hand) on the Gauntlet, then it's easy to see how all of that death and destruction at the end of Infinity War could be corrected — he'd set things right again even if there was a huge cost to doing so, which there almost certainly would be. When Thanos uses the Infinity Gauntlet at the end of Infinity War, we see that the gauntlet itself is burnt out and damaged, nearly shattered by the forces that it channeled. That's no mean feat considering that it was crafted by the same dwarves of Nidavellir who crafted Mjolnir, which took a literal goddess of death to break, and that's after a couple thousand years of battering frost giants. Thanos himself manages to get by without a scratch (well, aside from the gaping wound in his chest caused by another one of those Asgardian weapons, Stormbreaker), but he's also an incredibly powerful Titan. Even without using the Gauntlet, he's able to withstand the Hulk and accomplish plenty of other impressive feats. Captain America can run faster than a motorcycle, leap across rooftops, and bicep curl a helicopter, but he's still only a human being. His indomitable will would no doubt give him the ability to use the Gauntlet, but surviving it is a different question. The backlash of controlling those forces and unwinding time to make things right would give him the perfect opportunity for the heroic sacrifice that would bring the character to the end that Chris Evans and the Russo brothers have been hinting at. The most likely character to wear the Infinity Gauntlet in Endgame might also be the most surprising, at least for MCU fans who haven't checked out the source material. Nebula, the cyborg "daughter" of Thanos, has both a pretty good personal reason for donning the Gauntlet, and the comic book precedent that could be brought to the screen. In the original Infinity Gauntlet storyline, Thanos' murder of half the universe isn't his climactic goal, it's his opening move. When the surviving heroes head out to the edge of the universe, Thanos brutally destroys them one by one in all manner of horrific deaths. All the while, Nebula is there watching, trapped in a desiccated corpse and kept on the edge of life and death, driven to madness, just to amuse Thanos. There is, however, enough consciousness left in her that she's able to steal the gauntlet when Thanos abandons his body, and shifts the timeline back by 24 hours, before Thanos snapped his fingers and killed off the heroes. If the movies go a similar way, that could add a very personal element to the struggle against Thanos. 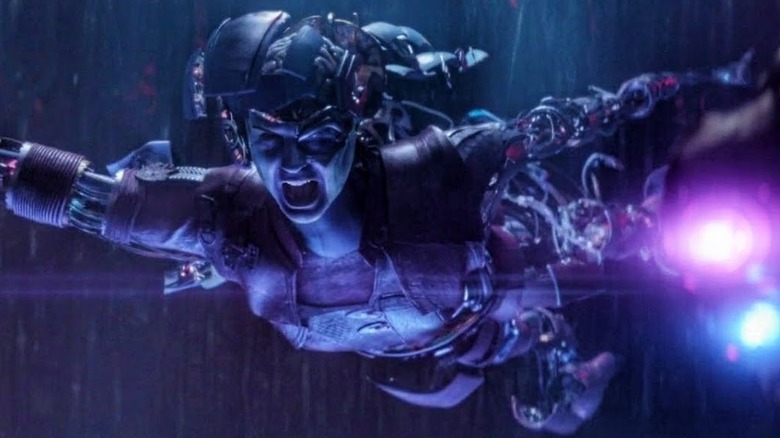 In the movies, Nebula has been tortured her entire life, her body replaced piece by piece with cybernetics as punishment for her "failures," leaving her in the disassembled state that we see in Infinity War. Not only that, but Gamora, the "sister" who tried to protect her, was murdered by Thanos — not as a casualty of the finger snap, but in a very brutal, personal way. If Gamora stays dead, Nebula's vengeance on Thanos would be very satisfying, and could even set her up to join the Guardians, bonding with Star-Lord over the loss of Gamora. Tony Stark might not seem like the prime candidate to wear the Gauntlet, but if you think about it, he fits — brace for it — like a glove. After all, for all its mystical sci-fi trappings, the Gauntlet is just another piece of technology, and that's Iron Man's specialty. He might even build his own version of it to handle the power of the Infinity Stones, the crowning achievement of his armor-building career that might just herald its end. Like Nebula, there's a comic book precedent for this. He's actually the first human in the Marvel Universe to wield the Gauntlet, a relatively recent event that happened in the pages of Avengers in 2011. One of the most interesting things about that is what Tony does with it: he creates an illusion of the Gauntlet being destroyed, but then secretly hands off the Stones to the people he trusts most, including stalwarts like Captain America and Black Panther. Of course, all that stuff about heroic sacrifice still applies to Tony. 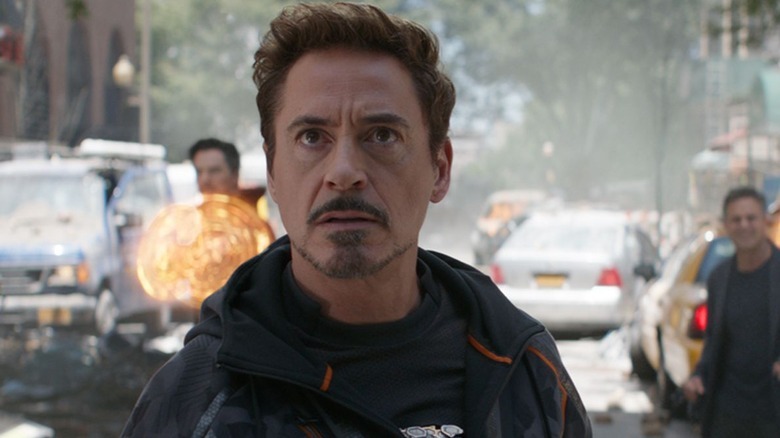 It was frankly pretty surprising that he made it through Infinity War unscathed, but as several viewers have pointed out, there has to be a reason that Doctor Strange was willing to bargain away the Time Stone to keep Tony alive. Maybe he has to be the one to build an all-new high-tech gauntlet, and maybe using it would be too much for his poor ARC reactor heart, giving us a fond farewell to Robert Downey Jr. and allowing Jim Rhodes to step into the armor as the new Iron Man. Bruce Banner might not seem like the most obvious choice to get control of the Infinity Gauntlet in Endgame, but he might just be the most compelling. 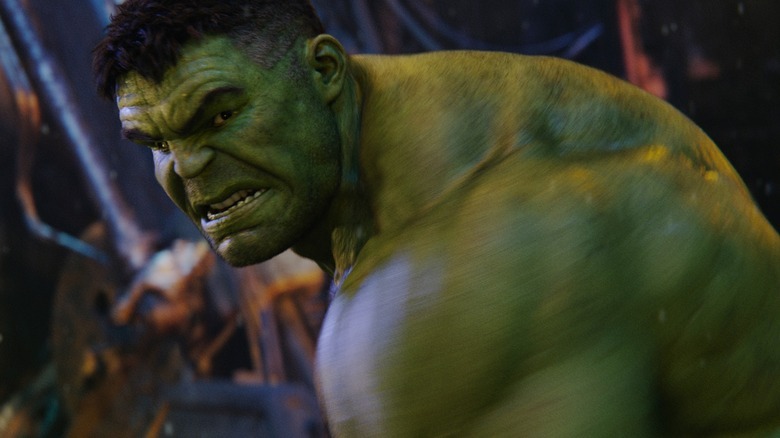 Since Thor: Ragnarok, we've seen the Hulk at war with his alter ego, and in Infinity War, that was compounded when the bigger, stronger, and greener side of Banner's personality refused to come out and fight, even when the world was at stake. For the first time, after a career of smashing his way through gods, monsters, and whatever other weirdos the Grandmaster threw at him in the gladiatorial games on Sakaar (Rest in Peace, Doug), the Hulk took on someone who was far more powerful than he was. His nearly effortless defeat by Thanos that saw him having to be blasted back to Earth by the Bifrost in a full-on rainbow retreat was the most traumatic thing that could happen to a creature that was defined by strength. What's really interesting here, though, is the consequences. If Banner does take control of the Gauntlet, he might use it to finally find the harmony between the warring factions of his psyche that he's been looking for since he was created. That could give us another element of the comics: a unified version of the Hulk who had the gamma-powered body of the Green Goliath, and the brilliant mind of Bruce Banner. Given that there are plenty of variations on the idea of a Smart Hulk (including the amoral Mr. Fixit and the villainous Maestro, who could be a great MCU villain once Thanos was dealt with), we could get quite a bit out of the idea of Banner controlling the Infinity Gauntlet, including a chance for Mark Ruffalo to do some Hulk acting that wasn't limited to monosyllabic smashing. 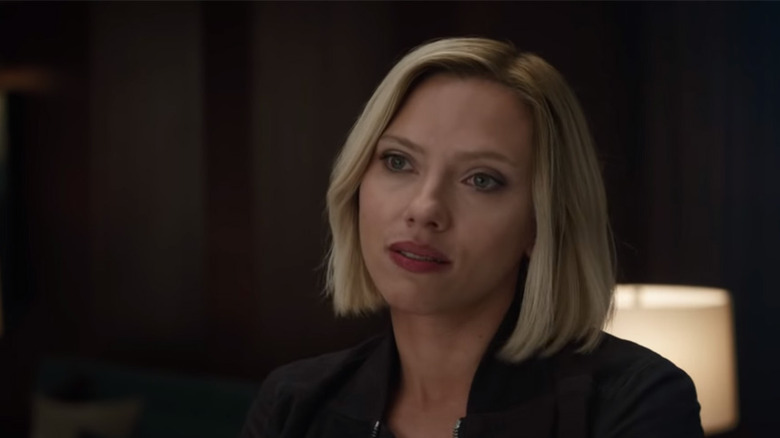 Since she made her first appearance in Iron Man 2, MCU fans have been crying out for Black Widow to get a solo movie. It seems like a slam dunk — the audience is already there, and Winter Soldier, in which she played a pretty prominent role, proved that superheroes and spy intrigue could go together like peanut butter and chocolate. Unfortunately for Natasha Romanoff, that solo film hasn't happened yet, and she was beaten to the role of the MCU's first headlining heroine by Captain Marvel. But that doesn't mean that there's a shortage of great moments for Black Widow, and raising her profile in Endgame would be a welcome substitute. Natasha has always been portrayed as pragmatic, ruthless, and haunted by the mistakes of her past. If she acquired the Gauntlet, it's easy to imagine that she would make the difficult choices for the greater good, even if it meant a personal sacrifice. The idea of erasing that "red in her ledger" by setting the world to right, while also paying that kind of price — perhaps by having to choose between bringing back the heroes who were dusted by Thanos or keeping Cap or Iron Man alive — fits right in with what makes her character work. The God of Thunder armed with both the unstoppable Stormbreaker and the Infinity Gauntlet is pretty much the definition of "overpowered." Like, at that point, you might as well just give him Iron Man armor, Captain America's shield, web-shooters, those little wrist-things that Black Widow wears, and a gun. Just let the rest of the Avengers take the day off while the Odinson deals with the cosmic threats. We'll admit that this seems like a pretty unlikely scenario, but let's be real for a second here: wouldn't that also be kind of awesome? The good guys have been faced with these massive cosmic threats since the first Avengers movie, so it might be pretty satisfying to see Thanos on the defensive for once, just getting a beatdown of epic proportions. Believe it or not, something similar happened in the comics. Way back in 2000's Thor #25, the God of Thunder took on Thanos in one of the most brutal fights to hit the comics page. 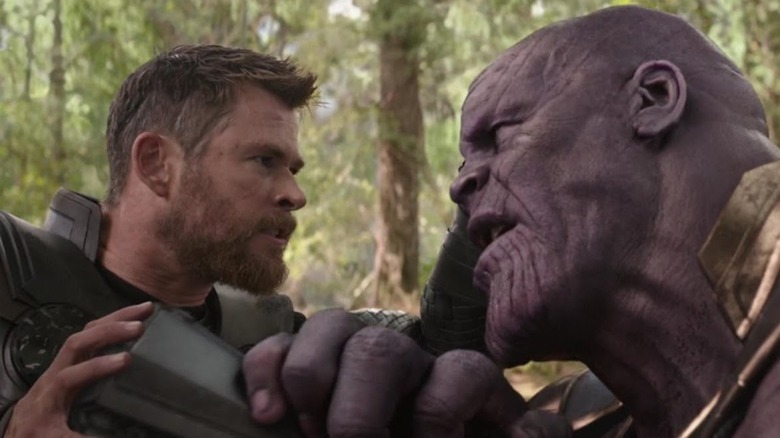 While Thanos was winning at first, Thor geared up with a whole new set of mystical artifacts enchanted by Odin, and wound up beating the living sugar out of the Mad Titan until he was face-down in the Asgardian dirt. Just imagine Chris Hemsworth bellowing "Fall! And should thou darest to rise, the enchanted Uru hammer of Thor shall smite thee down again, and again, and again if need be!" Unlikely, yes, but also pretty rad. Loki is dead. He was killed in the opening scenes of Infinity War, murdered by Thanos after trying to save the brother he spent so much of his time luring into hilarious stabbings, a moment that set the tone for the heart-rending emotion that would follow over the next two hours. That said, death has never exactly stopped Loki before, so why should it be a problem now? Coming back from the dead is what the dude does, and a last-second revival and a theft of the Infinity Gauntlet might just tip the scales in Endgame. There's something of a precedent for this one, and while it might be a bit of a stretch, bear with us for a second. In the original Infinity Gauntlet comic, Thanos is paired up with Mephisto, who serves as a lackey and sounding board so he can explain crucial plot points. Eventually, Mephisto — the Marvel Universe's equivalent of the Devil — betrays Thanos, and even gives Nebula the idea of turning back time to save the heroes. The thing is, Mephisto does not currently exist in the MCU. 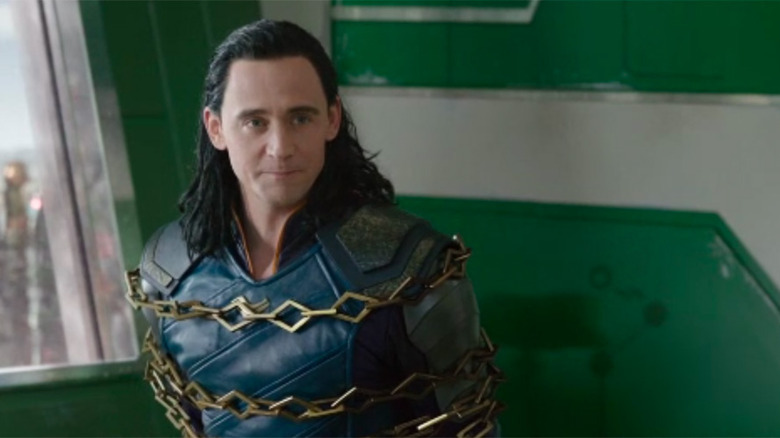 Instead, the role of a lackey who eventually betrays him has fallen to Loki. Plus, we already know that there's a Loki TV show in development, with Tom Hiddleston attached to star. Unless it's a prequel, he's definitely coming back in some form or another. 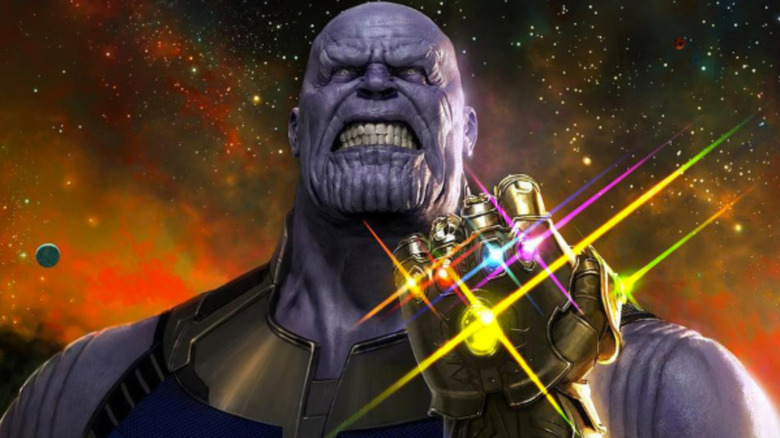 If he gains control of the Infinity Gauntlet and somehow manages to resist the corrupting influence of literal absolute power, that could complete the shift in his character from unrepentant villain to devious hero, exactly what he needs if he's going to be a protagonist from here on out. Hm. Okay, well… it's technically possible that this could happen? 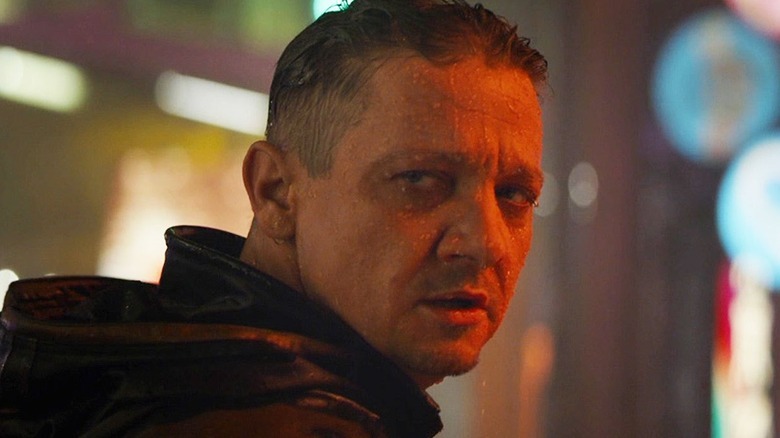 The one thing we know about Hawkeye from the Endgame trailer is that he appears to have taken on the identity of Ronin, and his new costume is certainly crying out for a new accessory, so maybe the Infinity Gauntlet could help him complete the look? Yeah, this one seems pretty unlikely. Clint Barton wasn't even around for Infinity War, and while he's certainly set up to have an important character arc in the sequel — given both the shift in his identity and his prominence in the trailer after his extended absence — there's no real reason for him to interact with the Gauntlet. Then again, the fact that it does seem so unlikely would make it the most surprising thing that could possibly happen. Maybe that means we'll see it, but odds are pretty good that Marvel doesn't want fans leaving the theater more confused than pumped. 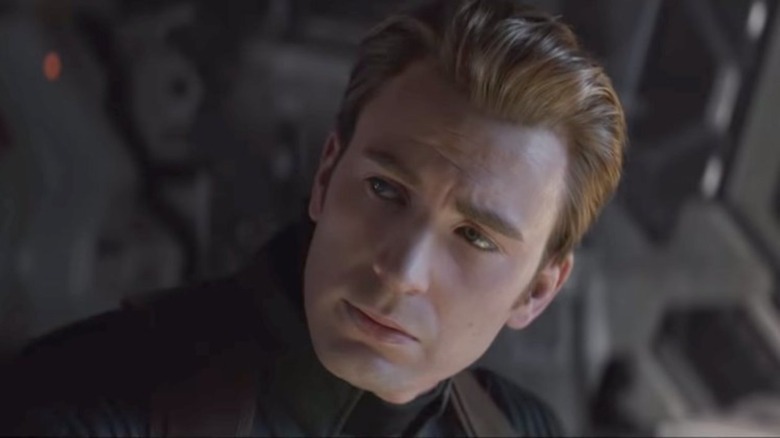 The trailer for Endgame is pretty relentlessly depressing, full of stuff like Tony Stark recording his final message to Pepper, Steve Rogers shedding tears over the fate of his friends, and Clint Barton looking haunted in the rain. 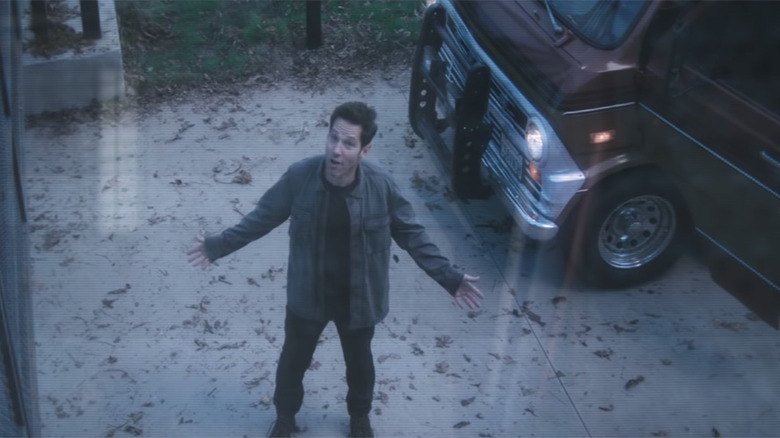 It's exactly what you'd expect for the follow-up to what might be the darkest superhero movie ever… until the very end, when Ant-Man shows up and suddenly things are as goofy as they've ever been. Scott Lang getting his hands on the Infinity Gauntlet would be almost as shocking as Hawkeye doing it, but it seems infinitely more likely. The entire Marvel Universe — cinematic and otherwise — is about the little guy managing to triumph over impossible odds. In both a figurative and very literal sense, there's no littler guy than Ant-Man. He's the unlikely hero with a history of being the unexpected factor that turns the tide of the battle. Just look back at Civil War, where he first goes giant-sized, and winds up being just enough of a distraction for Captain America to get away. It's also his chance to actually save the world. One of the most fun things about the Ant-Man films is that they have — wait for it — smaller stakes than the rest of the MCU, casting Scott as a sort of working-class superhero. Getting him involved in something this big would be weird and wild enough to be really fun. Plus, it would make a really cool visual to see him at tiny size, scrambling over a building-sized Infinity Gauntlet and slipping over the stones, before shrinking down to get inside it while it was still on Thanos's hand. That alone would be a truly awesome image, regardless of what he actually does with it. Okay, bear with us for a second here. Is it likely that the Daywalker shows up in Infinity War, chops off Thanos's hand with his sword, drops a cool line about how Mad Titans are always trying to ice skate uphill, and then uses the power of the Infinity Stones to eradicate all vampires from the MCU? No. No it is not. Is that in fact the single most awesome thing that could possibly happen in the movie? Yes. Yes it is. And here's the thing: it actually could happen. 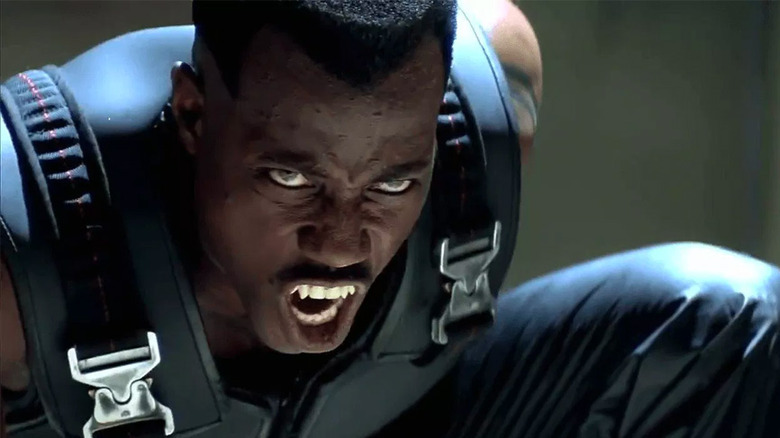 While the Blade movies were made by New Line Cinema and Warner Bros., Marvel Studios got the rights to the vampire slayer back in 2013, and as recently as February of 2018, Wesley Snipes has expressed an interest in returning to what is probably his defining role. Plus, it's worth noting that a full ten years before the MCU debuted, Blade was Marvel's actual first movie hit, and bringing him into the story of Avengers, while definitely unexpected, would certainly get a pop from the fans. And really, at this point, why not? The Marvel Universe has given us everything from Rocket Raccoon to the Vibranium Mountain to the Celestials. Would having Dracula show up actually be weirder than anything else we've seen?